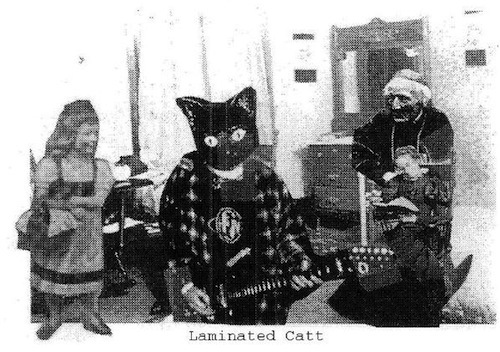 Surfing on Steam posted this track the other day by Elephant 6 revivalists Laminated Cat – dubbed “the best young psychedelic band in years” by the Apples Robert Schneider. And yes, I was just as skeptical as you are right now before pressing play. Their label, Garden Gate Records, happens to be run by Robert Schneider’s wife and brother in-law. Further adding to the E6 mythology, the LPs album art comes courtesy of Olivia Tremor Control’s Will Cullen Hart and Bill Doss. I guess the 2000s are new late ’90s. Hey, they’re great! Thanks for posting this.